Been ages since I was last on! Appologies to everyone who has PM'd me with no reply! I've had a mental busy time of late. The trackday business has kept me really busy planning and working. Uni was intense towards the end, but happy to say I passed the year, top grades in most subjects too Been building cars and engines left, right and centre for people, stuck in a machine shop a lot of the time and I never seem to have clean finger nails any more Added to which a lot on the home front some good, some not so good. We are also working with some motorsport post grads from Bangladore and should be distributing a new EMS soon. Testing is going really well. Taken me a fair while to read the posts since I left but it feels good to see whats been going on and see peoples progress. It's good to hear from you mate. As long as you pop in now and then. R32 seems my best choice. The S13's a little old all things considered, the 14's a little to common and the 15's a bit expensive. R33 looks a bit lardy and girly, the R34 again is a bit expensive. I like the styling of the 32's, the fact they use a lot of S body components when things need replacing. The RB20 is supposed to be good for up to 350 out of the tin with reasonable reliability with a headgasket change, maybe 400 at a push. RB25 and 26 will go in at a later date if required, but 3-400 should be plenty for a few years drifting. 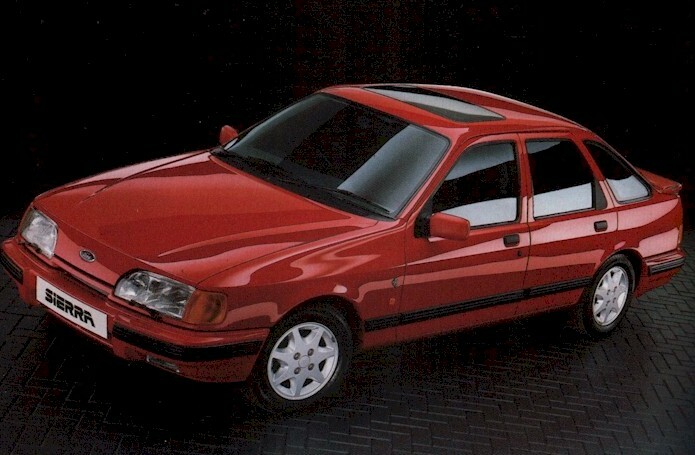 I'd love a manual Soarer single turbo, but again price is the issue. I think they look ace and they drift awesome, but then a R32 2 door also looks great in my eyes and theres loads of tuning parts available. Stick a 24v BOA in the transit recovery truck, weld the axle up and drift that! hehe. I`ve got afew odds and sods left over from a mk5 transit I broke awhile back if your in need of any bits. If I`ve got anything of use you can have it cos I`m having a clear out soon off all the old ebay stock ready for new stuff that coming in next month and just need the space. I must admit I`ve noticed the increase in Jap parts lately down the yards.......I assumed most Jap stuff went straight for export. Cant remember the last time I saw a sierra in the scrappy down here though so the tables have turned somewhat. Theres afew soarer`s around my way as well and I must admit they look spot on, not heavily modded externally with huge gash bodykits just lowered on nice wide rims. Cylinder head Repairs/skimming, Engine|Brake|Suspension|Service components, Number/show plates & Custom stickers. Hi doughnutter can you empty your pm inbox ! i'm trying to pm you but it said your inbox is full. R32 would need to come with an rb25 and all to bits fitted to make it worth getting one. R33 comes with it all on(33gtst) although big they ain't much heavier than a 32 and they can be lightened a lot.